Our clinical and constitutional approach of treatment. There are two main variations of the classical approach of homeopathy treatment. One approach applies homeopathic remedies to disease classifications or pathology. This is the so-called clinical approach. The second variation is purely symptom similarity from totality of symptoms i.e. constitutional approach. Current research indicates that the constitutional and clinical approaches are about equally effective and are the preferred classical methods. Dr.Satapathy applies both the clinical and constitutional approach of homeopathy treatment. It is a unique and new approach of Homoeopathic treatment developed by Dr.Rangadhar Satapathy from his two decades of treatment experience and research work. This innovative modern face of advanced homeopathy treatment has been developed from his vast treatment experience and clinical observations of around 80’000 of patients he has already treated and achieved a high success of cure rate more than 92% starting from cancer to arthritis. 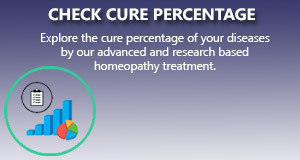 Multicare Homeopathy aims for a permanent and positive heath for all his patients. Treatment of any disease homeopathically does not mean just to collect the symptoms and choose the medicine from the symptoms similarity match. But there are something more required managing a disease. When a patient is applying for treatment at Multicare Homeopathy Center the first thing we takes care to relief his acute condition. The medicines for the acute conditions of any disease are selected as per the repertorisation result combine with Dr.satapathy’s vast clinical experience and research method. Dr.Satapathy has developed homeopathy packages (not patents) from his vast treatment experiences for management of any acute condition of any disease.That treatment package is developed to manage the acute condition as fast as possible. The dose can be given frequently or longer gap that depends upon the intensity of the symptoms. Simultaneously the constitutional treatment is selected and given to the patient for the permanent or long term cure of the disease from the totality of symptoms of the case history. The disease diagnosis is highly required to differentiate the common and uncommon symptoms as well as to presume its pathological extension. According to the pathological extension and stage of disease condition the appropriate potency and dose of the medicines can be selected. Multicare Homeopathy takes special attention to his each and every patient to give a long standing cure with short period of time. Another ailment is to identify the maintaining causative factor of any disease from the physiology, pathological condition of any disease condition and should be taken care properly to offer a long term cure. The management technique would include specifying diets, exercise, postures and also the exact procedures for the withdrawal of any conventional medicines if taking. Our evolutionary method of treatment aims for the long lasting cure of the patents from all his disease condition. Dr. Satapathy’s unique homeopathic treatment is a revolutionary progress in the homeopathy science.